In 1978, when I first visited Chile, the default choice for coffee junkies was semi-soluble Nescafé, and that’s still common here. It didn’t bother me personally, because I don’t drink coffee—how can something that smells so wonderful taste so awful?—but my fellow travelers often searched desperately for espresso or even a freshly brewed cup from grounds. 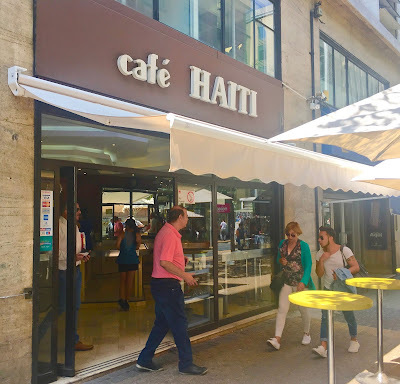 Café Haití was Santiago's original café con piernas, but more drinkable than Nescafé. 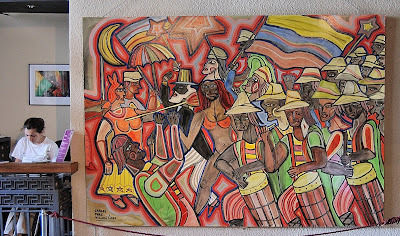 At that time, just about the only place to do so was Santiago’s Café Haití, a chain of standup coffee bars that was notorious for its café con piernas ("coffee with legs"), served by attractive young women in micro-skirts and other form-fitting clothing. The clientele was overwhelming male (and machista) but, on occasion, female clients couldn’t resist what appeared to be the best available caffeine fix. My own wife, given her Italo-Argentine background, reluctantly became one of them. Taken last year, this screenshot summarizes the size of Chile's immigrant communities. 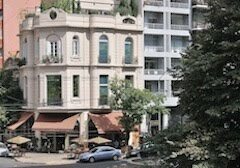 Why the chain’s founder chose that specific name is unclear—the source of his coffee seems likeliest to have been Brazil or Colombia—but in recent years Chile has become the country of choice for emigrants from the impoverished Caribbean country, and Haitians are a visible presence in the capital and elsewhere. For what it’s worth, Chile was the second country in the Americas to abolish slavery, after Haiti itself. Caleta Camarones is an historically Afro-Chilean community. The Haitian presence is something different, though, and it’s increasing. The first Haitian I ever encountered personally was a waiter at the classic seafood restaurant Ostras Azócar, who told me more than a decade ago that he learned his fluent Spanish through listening to radio broadcasts from the neighboring Dominican Republic. He now has a family here, and has recently opened his own small business. I see many Haitians in the Renca neighborhood where I’m staying at present and, at best I can tell, most of them are speaking Haitian Creole (I certainly don’t recognize it as standard French, of which my knowledge is admittedly limited). At a downtown Santiago gas station, I recently had a conversational exchange with a Haitian janitor whose Spanish was likewise limited but was clearly making an effort to communicate. 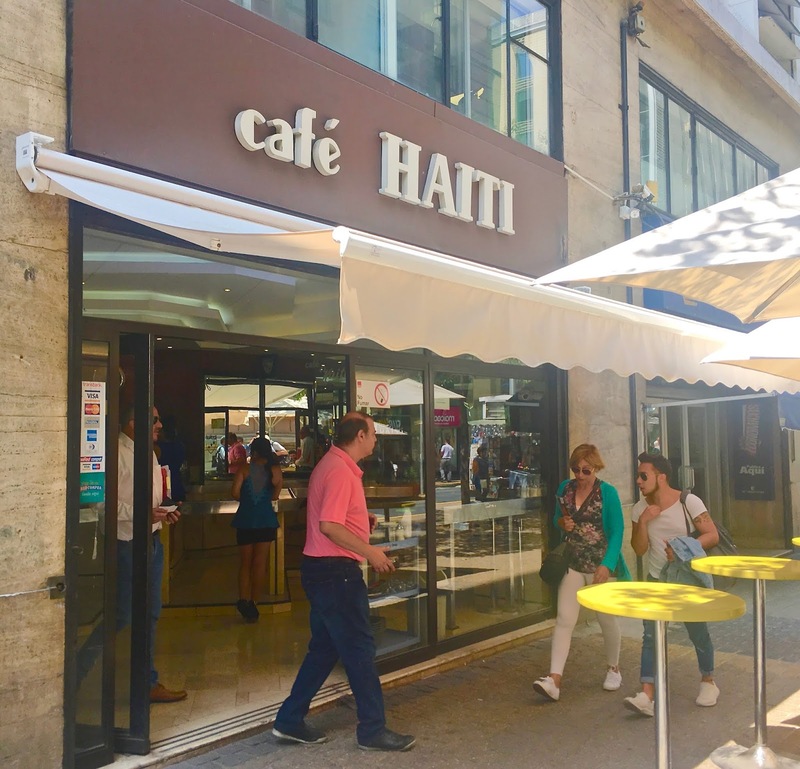 Haitian options are becoming part of Santiago's fast-food scene. Most Haitians appear to occupy menial jobs, but there are some indications of entrepreneurship as well. 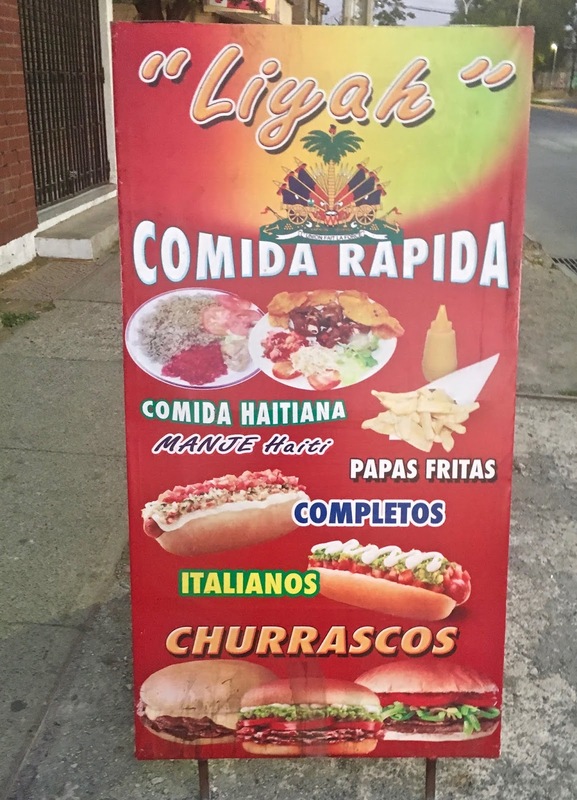 Not far from my Renca accommodations, there’s a sandwich shop that offers Haitian dishes alongside the standard completos (hot dogs) and churrascos (grilled beef). That suggests, at least, a hopeful foothold in the dominant Chilean culture, though there’s certainly been some anti-immigrant sentiment here. I’ve not yet sampled the food there, and it’s unlikely ever to match the impact Peruvian cuisine has had. If you've found this item informative or otherwise useful, please consider earning me a few pennies by clicking on an ad here. Spring training has only just begun, but this morning I expected to be in the summer heat of Santiago, where it’s presently 88° F (31° C), but it was not to be. At 7:30 a.m. yesterday, I took a ride share (which shall remain anonymous) on my wife’s account, and arrived at San Francisco International Airport shortly after 8 a.m. for an Alaska Airlines flight that would connect to Los Angeles for a non-stop to Chile. Santiago can (must) wait for my arrival. Or so I thought. The night before, Alaska had denied me an online check-in because of the international code-share flight, and I spent an hour waiting in line only to learn that all flights to LAX had been canceled because of heavy rain (in both cities). In fairness, the clerk at the Alaska counter made every effort to find me an alternative flight, including a COPA route that would have left at 12:30 a.m. this morning and, after changing planes in Panamá, would have arrived in the Chilean capital at 8 p.m. this evening. I have no complaint about Alaska’s service and suggestion, but it didn’t appeal to me—partly because it would have messed with my already fragile biological clock. Still, if like many travelers these days I had purchased my tickets online, I might have faced a daunting process of trying to contact LATAM (my carrier on the flight from LAX to SCL) and revise my plans for another day. For this flight, though, I had trusted my itinerary to Analía Rupar-Przebieda of Eureka Travel in Southern California. She had already saved me the time-consuming process of searching for and purchasing the international flight, and had gotten me on the non-stop from Los Angeles instead of the route that stops in Lima, with a possible layover to change planes, and had also gotten me the best possible price. Instead of re-doing it all myself, I managed to phone Analía, an Argentine whom I had met at one of my book talks at the late lamented Distant Lands in Pasadena. Then, within about five minutes, she phoned me back with the same itinerary rescheduled for Sunday, saving me time and, probably, aggravation. 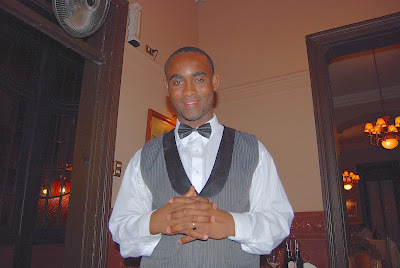 Then I was able to return home and rest rather than navigate an automated phone system to change my dates. Unfortunately, that does mean I’ll have lost three days off a scheduled two-month trip. And it’ll delay my departure for the south because I also have some vehicle paperwork to do in Santiago, but I can live with it. If you've found this article informative or otherwise useful, please consider clicking on an appropriate advert to earn me a few pennies. This Thursday I fly from California to Chile, changing winter—last week we even had snow on our backyard deck in Oakland—for summer. 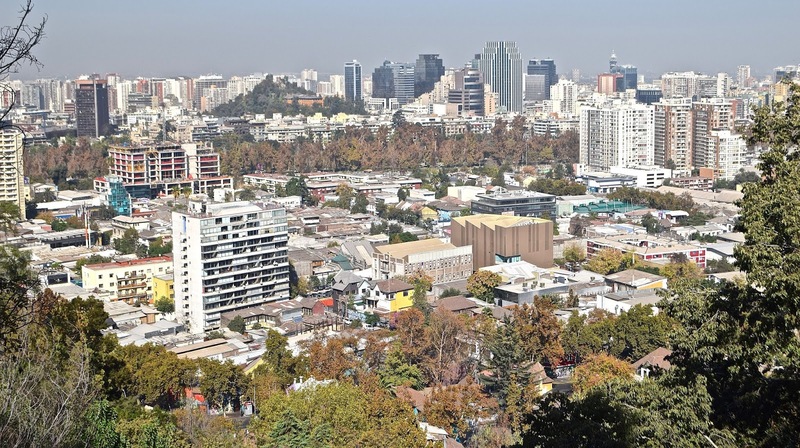 It’s been hot in Santiago and, when I arrive on Friday, the predicted high is 91° F (33° C). The year after I took this photograph, in 2015 in Santiago's Barrio Brasil, the cultural center known as the Galpón Víctor Jara closed because of a dispute with the landlord. Not precisely in preparation, I just viewed director Bent-Jorgen Perlmutt’s “Massacre in the Stadium,” a documentary about the murder of Chile’s legendary folksinger Víctor Jara in the aftermath of the 1973 military coup that overthrew constitutional president Salvador Allende. It is presently streaming on Netflix. A bit longer than an hour, Perlmutt’s film begins with Jara’s personal background and stock footage of the coup led by General Augusto Pinochet Ugarte, whose troops herded thousands of political prisoners in Ñuñoa’s Estadio Chile (an enclosed facility that that now bears Jara’s name; it is not the adjacent gigantic soccer stadium). The film continues with interviews, including one with former Army Lieutenant Pedro Barrientos—Jara’s presumptive killer—but a supposed eyewitness later recants his testimony. Nevertheless, supported by subsequent testimony from several conscripts who were present in the stadium, Jara’s widow Joan (a British national) and the Center for Justice and Accountability persist with a civil suit in Florida against Barrientos (who is now a US citizen through marriage). Barrientos submits to a lie detector test–his own condition for being interviewed–but there’s an unspoken implication that he has been coached to make the test unreliable. Nevertheless, Joan Jara and her daughters won a US$28 million judgment in compensatory and punitive damages. 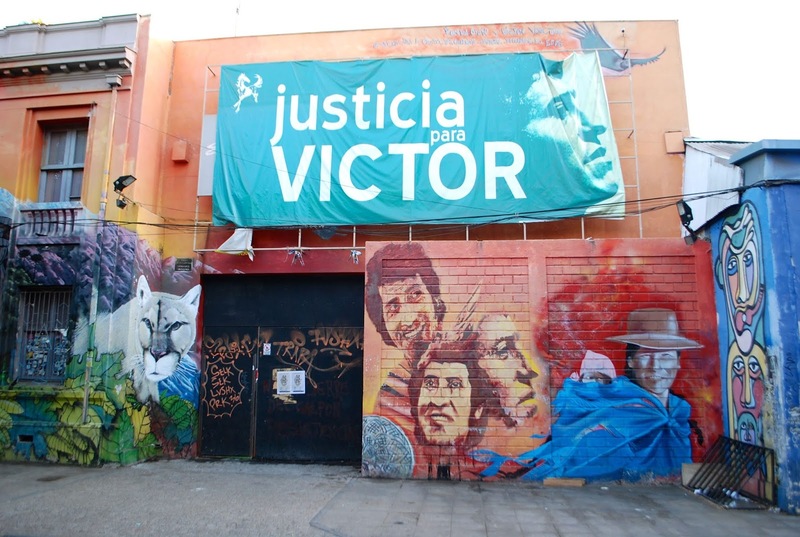 Meanwhile, eight Chilean officers have since been imprisoned for Jara’s murder, but the film does not mention that Chilean prosecutors have indicted Barrientos (or not), nor does it suggest he could be extradited. However, a mid-2018 article in The Guardian, cited at the previous link, says that US is considering extradition. In my opinion, one of the film’s strengths is that it avoids name-calling and political polemic to present the evidence, even though Perlmutt may subtly suggest that Barrientos has sidestepped the polygraph judgment. 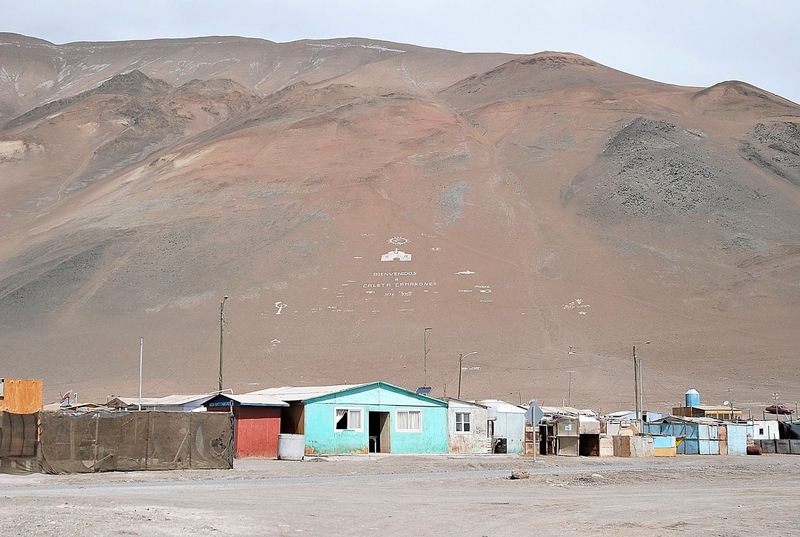 For anyone interested in Chile and this controversial period, it’s well worth seeing. If you've found this article interesting and/or useful, please consider earning me a few pennies by clicking on an advertisement here. 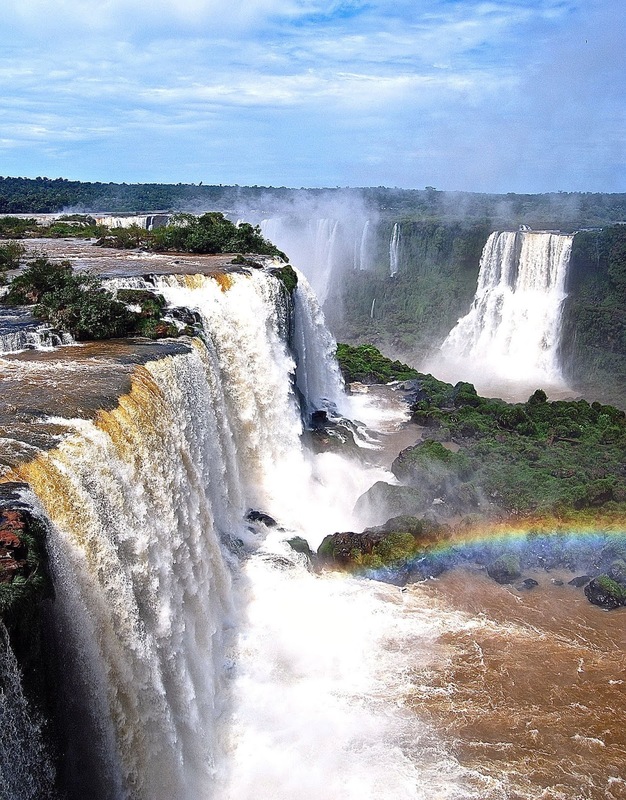 I visit Brazil only infrequently these days but, when I've done so it’s usually the border town of Foz do Iguaçu because it’s been part of my beat when writing guidebooks about Argentina. After foreigners see the Argentine side of the famous falls, they almost always cross the Tancredo Neves bridge to see them from the Brazilian side. I once took an intensive summer course in Portuguese—the equivalent of a full year at university level—but it’s only my fourth-best language after English, Spanish and German. Brazilians have been remarkably patient when I lapse into Spanish cognates, though I don’t always understand their responses. 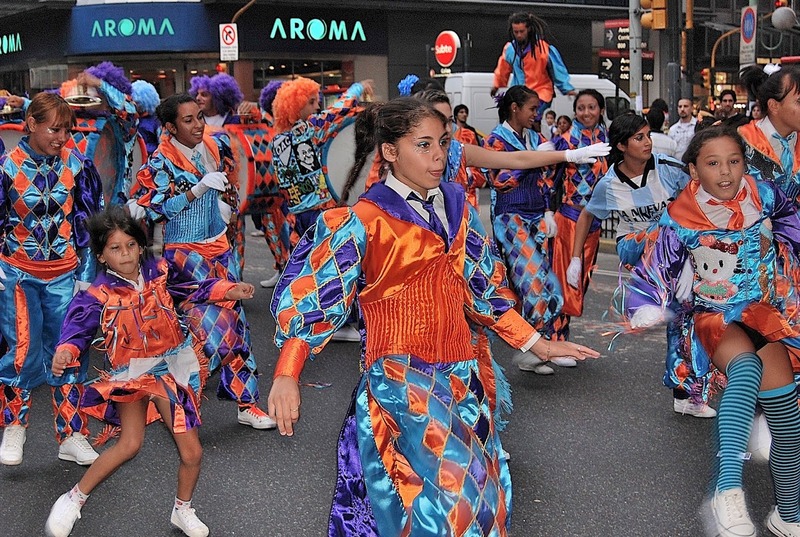 In Buenos Aires, Carnaval is a decentralized neighborhood phenomenon. Montevideo's Museo del Carnaval depicts the origins of Uruguay's tradition. I’ve traveled a bit in northern Brazil—Porto Velho, Manaus, Salvador (Bahia) and Belém—but know the megacities of São Paulo and Rio de Janeiro only through their airports. 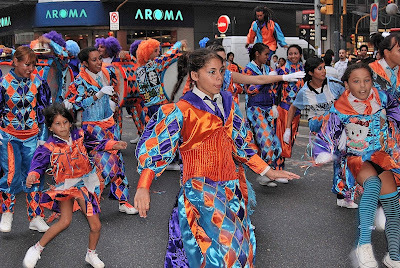 That means I’ve missed the signature event of Brazilian Carnaval, though I’ve seen its counterpart in Argentina (where it’s experienced a neighborhood-oriented revival) and Uruguay (where it’s seriously under-appreciated by foreigners). 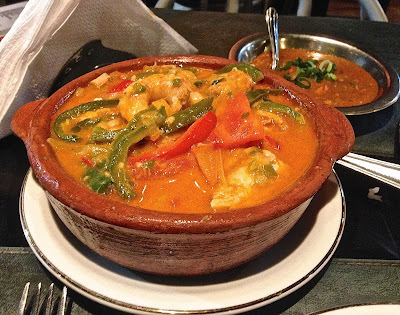 Moqueca de peixe is a flavorful fish dish. 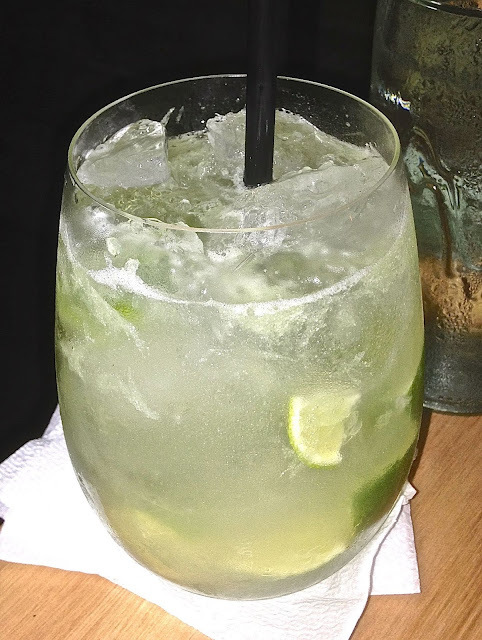 I enjoy Brazilian food—particularly moqueca de peixe—and really appreciate the refreshing cachaça-based cocktail known as the caipirinha, made of cane liquor, lime and sugar. Brazilians themselves, though, probably consume far larger amounts of beer, especially during Carnaval. Care for a caipirinha, Mr Mayor? That is, unless Rio mayor Marcelo Crivella has his way. Somehow, Brazil’s liveliest party town elected this evangelical bishop to its highest office in 2017, and he has just asked that cariocas (Rio residents) refrain from drinking alcohol during Carnaval celebrations. He also embraces creationism, and objects to homosexuality and abortion rights. If Mayor Crivella truly trusts in what he preaches, though, perhaps he could just pray that his constituents refrain from drinking during the festivities. Then again, his for-profit Universal Church of the Kingdom of God may well take a cut from alcohol sales. If you've found this article entertaining and/or useful, please consider earning me a few pennies by clicking on a (hopefully appropriate) advertisement here.